NORTHWEST CONTEMPORARY -Bring an offer !Beautifully restored,great mountain setting, views, privacy and growing timber. 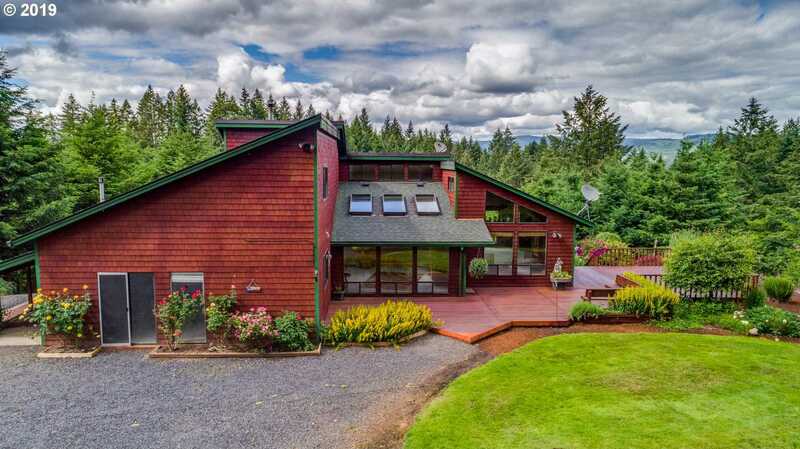 Open ceilings, incredible decks and patio to enjoy the clean Oregon air. Only 5 minutes off US 26. 25 to 35 minutes to high tech. 45 minutes to Portland and the same the beach. 4 Bay shop/RV Bldg. ADU possible.